Your chosen Digital Audio Workstation (DAW) sits at the center of all your digital music production work. 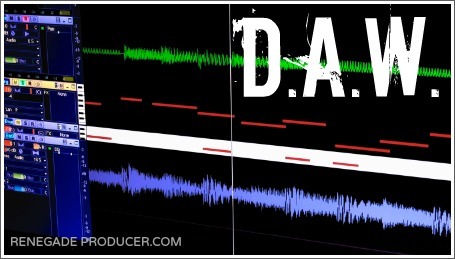 There's no getting around it, you must master your DAW if you're serious about your audio and music productions. It doesn't matter if your Digital Audio Workstation is Pro-tools, Logic, Cubase, Reason, FL Studio, Cakewalk, Reaper, Ableton Live or Bitwig, you'll need to get certain basic abilities and skills down regardless of which music production software you choose. You don't however have to pay for expensive online courses to master your DAW. Yes, the first step is to understand what you're dealing with and get a big picture overview of your Digital Audio Workstation and it's various screens, functions and tools. It may feel boring and even overwhelming but you must crack open the manual and read through it at least once. Now, of course your DAW may have certain tools which you'll likely never use so you could skip over those at first and then get back to them later when you need to. You may for example not be working with video so these functions can be safely ignored. Open your DAW and set up a practice session and work through the things you've learned so you can get comfortable doing them. Don't worry, you won't break anything so have some fun with it! The idea is to make the initial connections in your brain so you can get comfortable with how your Digital Audio Workstation functions. It's all about getting familiar with your DAW when you start out. Mastery will come with time when you do actual work. So, don't worry too much about finishing tracks at this stage. For now, just play and experiment and make sure you get the vital Digital Audio Workstation knowledge and skills under your belt. You want to get it down so that when I phone you up at 3:30am, after you've slept for only 30 minutes and you're all grumpy, and I ask you how to trim and reverse an audio sample, you can not only tell me, but also do it. The same goes for other vital tasks. Prepare for getting stuck in for a while with this, especially if you're complete noob when it comes to music production. Look up terms and make sure you understand the concepts and practices involved in music production so the manual makes more sense. 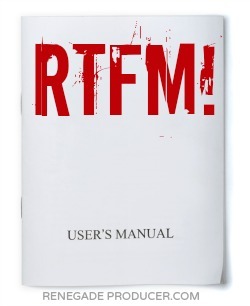 Manuals can be confusing as they're not always structured or written in an easy-to-understand way. This has more to do with bad technical writing than it does with your ability to learn of course! 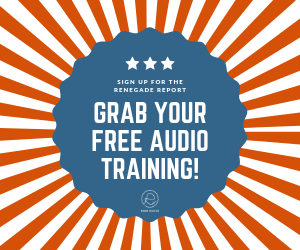 Luckily, there are tons of great beginners courses available for every Digital Audio Workstation out there, not to mention online videos and forums. I suggest you start with the manual and help documents that come with your DAW and supplement with these other resources if and when the need arises. Groove3 is another option for good-value courses at decent prices. You can also of course also find a tutor that can show you what you need to know. This is probably the best way to learn should you be able to pay for it or be lucky enough to have good friend who has his chops with the same DAW. 3. Find and watch free DAW intro videos or follow tutorials online. 4. Find a tutor or friend that can train you one-on-one. Again, you don't need to take pricey online courses or get a music production degree at an uber-expensive school to master a Digital Audio Workstation. You can learn everything you need to know through the free and less expensive resources I mentioned above. Stay focused on working through all the vital aspects you'll need to learn and then move on to your actual music production. DAW fundamentals get you started, but as you know by now, there's so much more to professional music production. So, get the basics done and dusted as soon as you can so you can start to work on more advanced music production ninja-skills sooner rather than later!